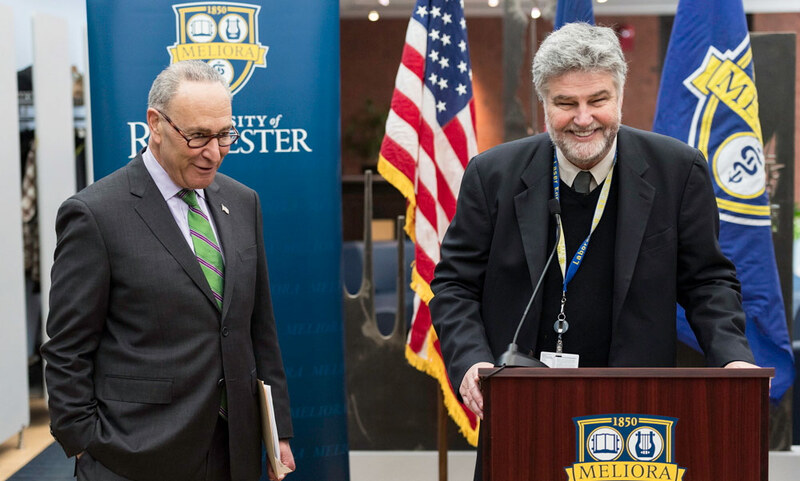 U.S. Senate Minority Leader Charles E. Schumer and U.S. Senator Kirsten Gillibrand announced that the Senate has included $80 million—a $5 million increase over Fiscal Year (FY) 2018—for the University’s Laboratory for Laser Energetics as part of its version of the FY 2019 energy and water appropriations bill. This Senate bill must now be reconciled with the House of Representatives’ bill, which included $68 million for LLE. Importantly, both bills reject the Administration’s budget request to cut the Lab’s funding dramatically in FY19 and phase out of all federal support for LLE in three years. To read the full announcement, see: www.schumer.senate.gov/newsroom/press-releases/schumer-gillibrand-announce-80-million-in-funding-for-rochester-laser-lab-included-in-senate-energy-and-water-appropriations-bill.